It's fairly obvious what the word writing system refers to, and you're probably familiar with one if you are able to read this. The letters that make up these sentences are part of an alphabet. However, there are several types of writing systems and not every one is technically an alphabet. If you didn't know that English is written with an alphabet then you have probably been living under a rock with your eyes closed, your fingers in your ears and screaming at the top of your lungs. Why is it an alphabet though? 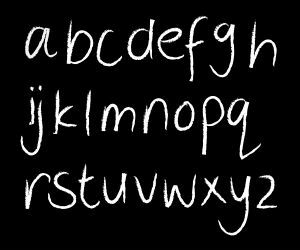 The word "alphabet" comes from the first two letters of the Greek alphabet, alpha and beta. Apparently, they thought it would be stupid to call it an alphabeta. Alphabets represent phonemes, the sounds that make up words. That's how you know what each of these words sound like. Alphabets include the Latin Alphabet (this one), Cyrillic (the one used in Russian with all those cool-looking backwards Rs and stuff), Greek, Georgian and Armenian (as found in Greece, Georgia and Armenia, of course!). So what the hell is an abjad? 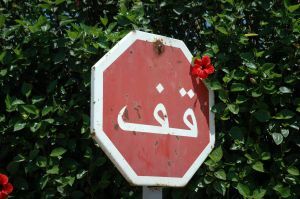 Ever tried to read or speak Arabic? That uses an abjad. They're called abjads because of their first letters, 'alif, bā', jīm and dāl, but calling it an 'alifbā'jīmdāl didn't have the same ring to it. Each letter represents a sound, although usually just consonants. So how do you know what the vowels sounds are? Good question! You don't. You'll just have to learn all the words and a series of vague rules... sorry. 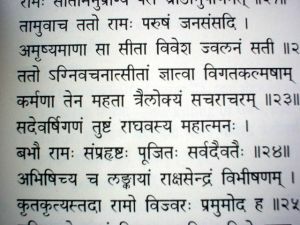 Abjads were around before alphabets and tend to be written from right to left. They're the envy of every left-handed person in the western world. No smudging for lefties! Only Chuck Norris could smudge this. An abugida can represent consonants with inherent vowels. This means that you know what the vowel is, either by way of diacritics, accents and squiggly lines, or spinning the letters around and all sorts of other crazy methods. Think of Hindi, or for a fake version, any jar of curry from your local supermarket. It's apparently a good read... if only we could read it. 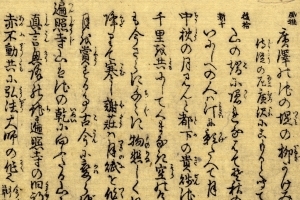 Chinese and Japanese are prime examples of languages with logographic writing systems. Their symbols represent a whole word. So you just learn entire words... not the letters. Imagine having to learn all those characters! They also have writing systems that are syllabic, which means they use symbols to represent a single syllable (often a consonant plus a vowel sound) . Interestingly, Japanese uses Chinese characters for its logographic alphabet, but they aren't mutually intelligible between speakers of the two languages. In Chinese and Japanese you can write from either top to bottom or left to right. Don't tilt your head like a dog! It's meant to be like that.